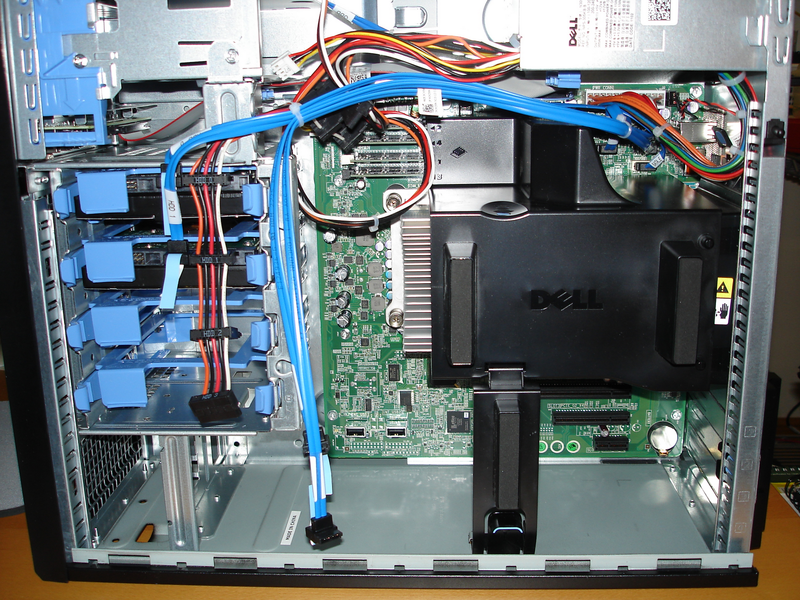 Here’s a picture of my new Dell T110 server, with the cover off. Here’s a little more detail. You can see the two drives mounted on the left hand side, with two conveniently vacant drive bays for a couple additional SATA drives. Upper middle are the four memory slots, each filled with a 2 megabyte chip for a total of eight megabytes. All the black stuff on the right is the shroud covering the heat sink. The unit is absolutely silent. Finally, here it is in the final configuration. I’ve got an older Maxell external USB 250 megabyte drive as a backup device. 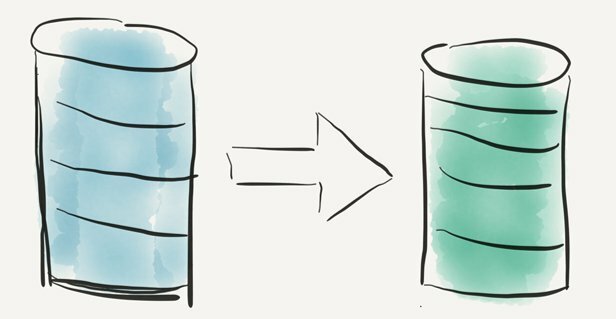 The Small Business Server 2011 backup is much improved over Windows backup software that came with earlier Windows server software…almost as good as the Mac Time Machine. This is the first purpose-bought server that I’ve bought in more than ten years for my business. I had a couple in the nineties. Then for two or three iterations, I’d buy Dell Precision workstations to use as my personal workstation, and then I’d bump them down to be a server. All of these machines have been very reliable. 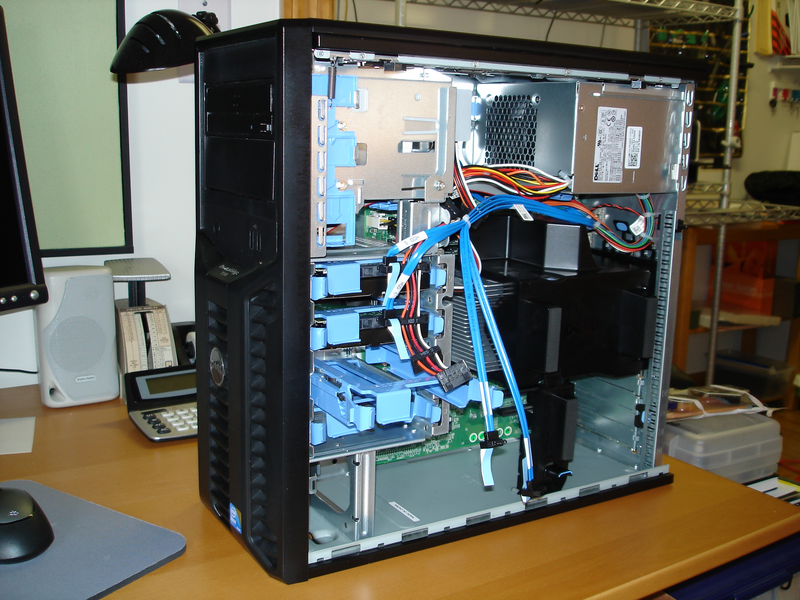 I even used one of the Optiplex GX270 desktops as a production server for more than six months. 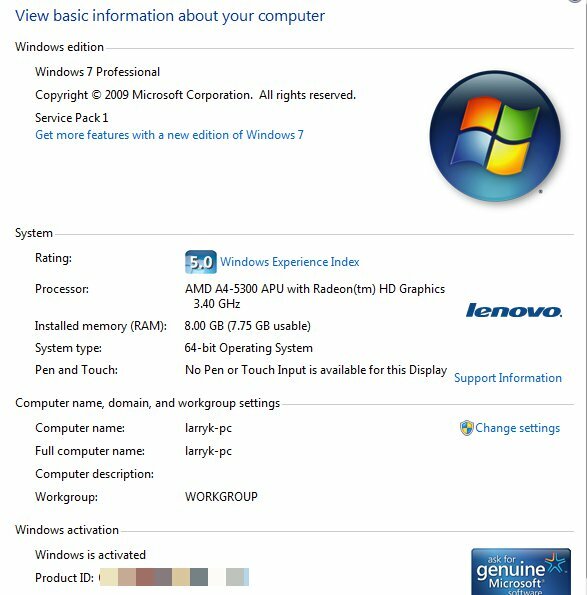 This entry was posted in Hardware, Tech_Friday and tagged Hardware, Networking, Windows on April 23, 2011 by lkeyes70. 1. 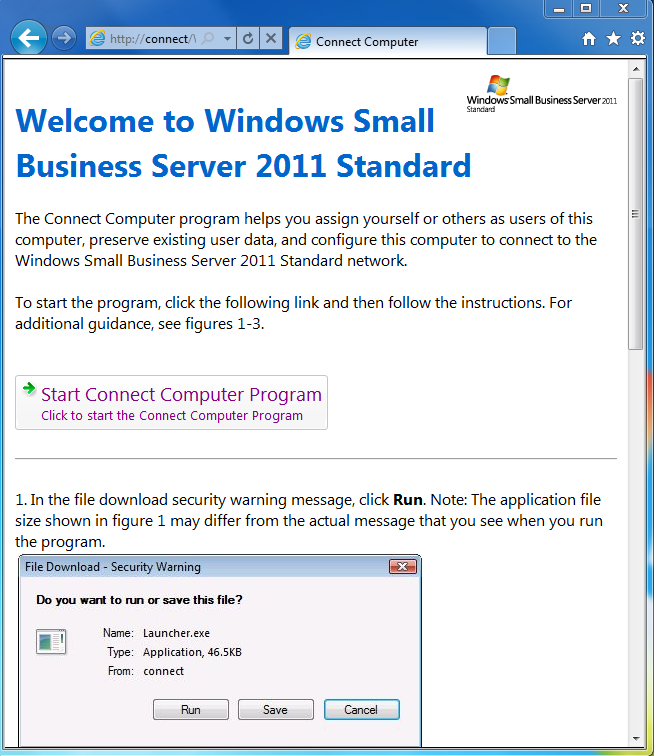 Under the covers, SBS 2011 uses Windows Server 2008, and Microsoft Exchange 2010. 2. In its default state, SBS assumes it will control everything, even unto DHCP. DHCP is usually enabled by default on most routers. 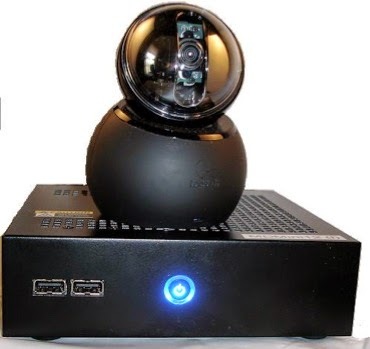 It is the function that assigns an internal IP address to each workstation as it comes on the network. I prefer that the function stay with the router, so if the server is off for some reason, workstations can still get a legal IP address to be able to go out on to the internet. For the moment, I’ve acquiesced and given that function to SBS. 3. Since I’m planning to run Exchange, I needed to have a domain assigned to my SBS server. I have a fixed outward facing IP address from Comcast, my internet service provider. I assigned a “third level domain name” to my SBS server. This is often done for individual machines within a domain. So, for example of your company’s domain is kettleprises.com, you mail server might be mail.kettleprises.com, and your sbs server might be sbs.kettleprises.com. Third level domain names do not usually cost extra. I then configured a DNS server on the SBS box using the assigned third-level domain. So far, I haven’t been able to find my domain mapping using nslookup, so I’m a little worried that something is awry. 4. The above is not to be confused with the “windows domain”, which is a single name for the local area network’s SBS machine. I named mine ghq. SBS then translates this to ghq.local which is assigned to the server’s internal ip address. If you can’t bring up the web page, then something is misconfigured, somewhere. It took me several tries to make sure everything was working as expected. I thought the last loose end was the fact that my third level domain name hadn’t propagated yet, but between the time I started writing and the time I’ve finished, it now appears under NSLOOKUP. 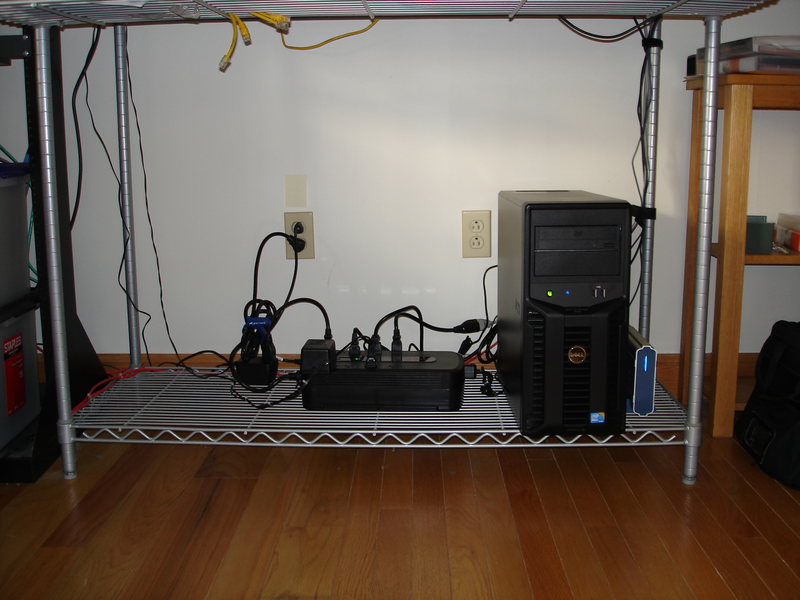 This entry was posted in Hardware, Tech_Friday and tagged Hardware, Networking, Windows on April 21, 2011 by lkeyes70.